The Othering & Belonging Journal is committed to a redrawing of the boundaries between the fields of academic research, policy analysis, the arts, and engaged practice. The journal aims to underscore the crucial importance of integrating different fields of practice and scholarship in order to effectively challenge othering, advance belonging, and expand the circle of human concern. 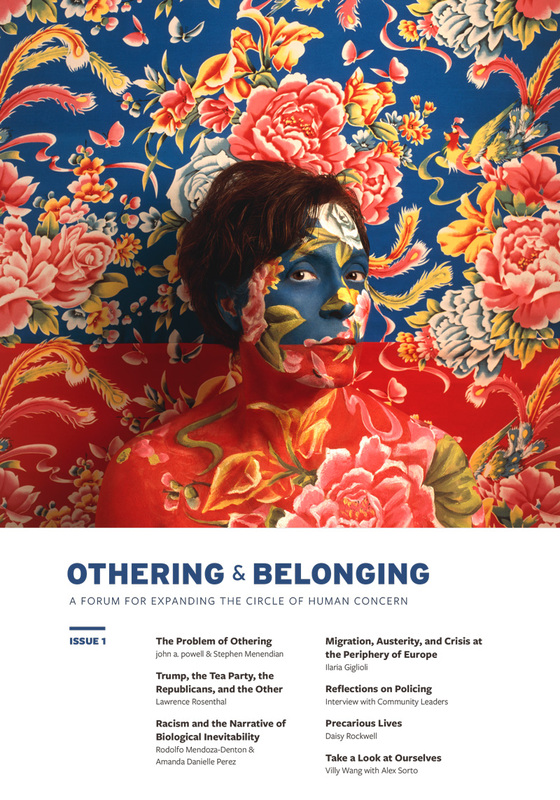 Othering & Belonging features articles that look at specific forms of marginalization, but also emphasizes the relationships between them. To this end, the journal aims to create and sustain a dialogue where, for example, a specific social problem (e.g., residential segregation, healthcare reform, incarceration) can be understood and examined by how it impacts different groups. You can access our three issues of the journal by clicking the thumbnail images below. 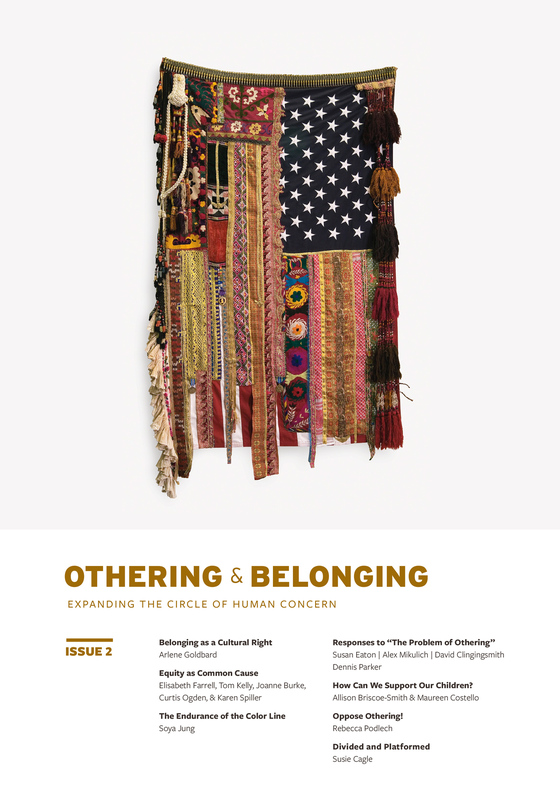 The anchor piece of this first issue, by Haas Institute Director john a. powell and Assistant Director Stephen Menendian, who examine what we mean when we refer to othering and belonging. While othering processes marginalize people on the basis of perceived group differences, belonging confers the privileges of membership in a community, including the care and concern of other members. As powell has previously written, “Belonging means more than just being seen. Belonging entails having a meaningful voice and the opportunity to participate in the design of social and cultural structures. Belonging means having the right to contribute to, and make demands on, society and political institutions.” Access Issue 1 here. Developments across the globe are rife with the dynamics of othering, whether along markers of race, ethnicity, class, gender, religion, immigration status, nationality, geography, or a combination of these and other dimensions of personal and group identity. In the responses to these developments, we also find strains of belonging—enough, perhaps, to ground our hopes for a more inclusive future. If there is a theme to this, the second issue of Othering & Belonging, it might be hope. Hope built not only on the aspirations articulated by groups around the world, but also on the emergence of new organizational formations whose practices are meant to enact inclusiveness and belonging. Access Issue 2 here. As this third issue of the journal was being completed, a furor was erupting in the United States about the morality, ethics, and political and social consequences of the Trump administration’s “family separation” policy, a policy that in just seven weeks saw more than 2,300 immigrant children taken from their caregivers at the US-Mexico border. These traumatized children, many of them infants and toddlers, may be the most public faces of othering in the US today. Around the world, children feature prominently among our most vulnerable populations, whether Rohingya and Syrian refugees, people with disabilities in Afghanistan or Sudan, people living in extreme poverty, or any of the other groups we could name. 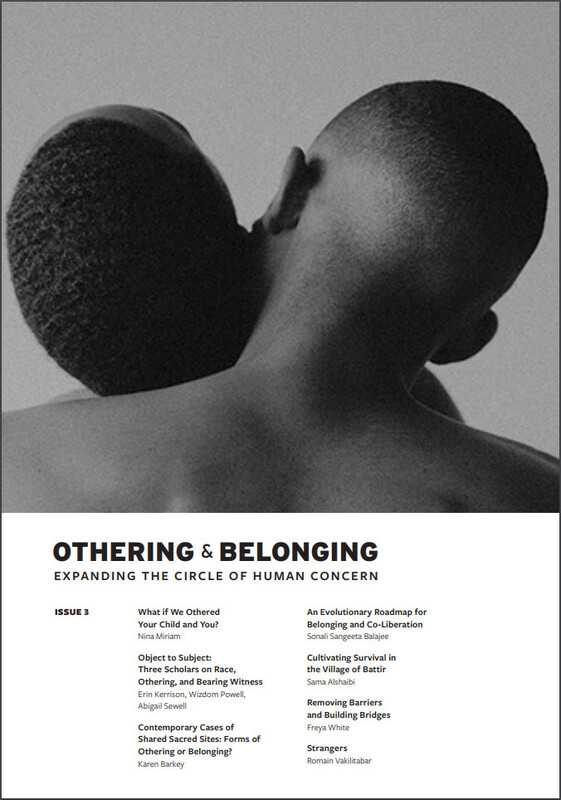 Children also have a range of roles in this issue of Othering & Belonging—as wards in need of protection, yes, but also as witnesses, as accountability partners, as vehicles of empathetic imagination, and as inheritors and re-shapers of the institutions and communities we construct now. Access Issue 3 here.